The renowned and leading company Sony in the manufacturing of electronics pleases to present its gorgeous innovation to the world, the X850C 55-inch 4K Ultra HD LED with Android TV. 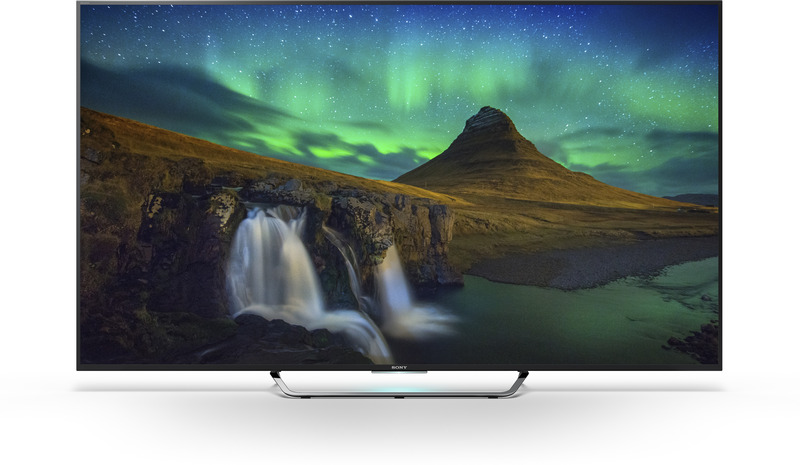 The X850C 55-inch 4K Ultra HD LED has comes up with the most effective and powerful 4K processor X1 which bring the clarity of colors, pictures, and videos whatever you are watching, every source is precisely upscale for the best of 4K resolution, from TV broadcasts, Blu-ray Discs, DVDs, and 4K internet videos, the LED TV gives more incredible results with stunning quality above your expectations. This X850C 4K Ultra HD LED features HDR compatibility and TRILUMINOS Display, which grants extra wide range of colors, groundbreaking contrast and more perfect details. Dive in the ocean of 4k movies and TV episodes available for the home with the 4K Ultra HD Media Player, which offers unlimited 4K library of videos where you pick the desire video from a huge range of videos and browse classic movies and upcoming releases to buy or rent. The X850C 4K Ultra HD LED featured with voice search so you can find which you love, whether broadcast or via the internet, also show content bar of movies and videos. The LED TV has intelligent with Digital Sound Enhancement Engine (DSEE), S-Force Front Surround, and Clear-Phase fine-tunes TV speakers for the best, lifelike, and distortion free and video sound. The X850C 4K Ultra HD LED TV comes with thousands of apps and interesting features and is available in the very exciting price of only $1,099.